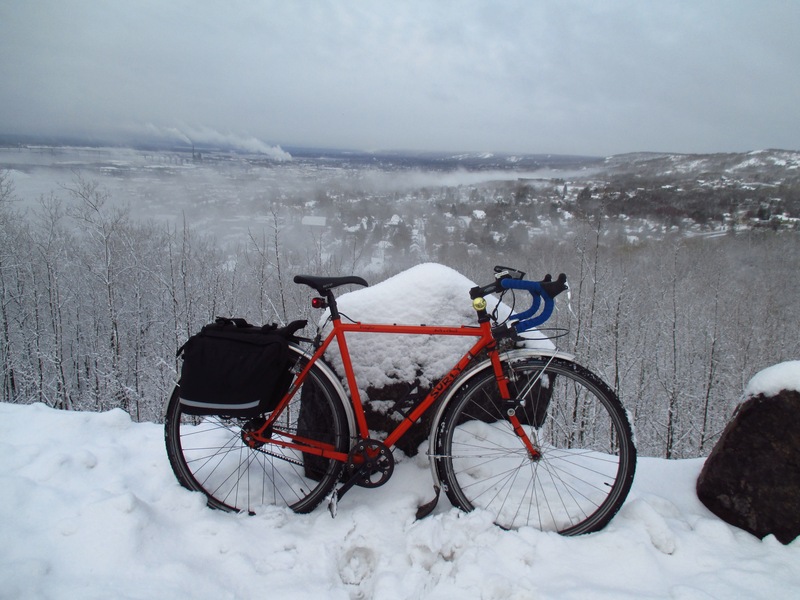 Winter Cycling Tips: Part 2, more tips for keeping your hands warm. This is a series of posts aimed at the beginning winter rider. More seasoned riders may also pick up a few tips along the way. It contains tips and strategies for staying safe and warm when enjoying the outdoors during the most beautiful season….winter. In my last post on Winter Cycling Tips, I wrote about pre-warming gloves before heading out into the cold. Here’s another tip for keeping your gloves, or other outerwear warm once you’re out and need to remove them temporarily. This is one of the things I see many novice winter cyclists make. They pull over and stop, maybe for a nature break, or to take a photograph, or to fix a mechanical issue, etc. What is the first thing they do? They remove their gloves and set them down, either on their bike, on a nearby bench or on the ground. What’s going to happen to the heat that’s built up inside those gloves? Yes, it’s going to get sucked out of that piece of outwear faster then you can say, “Brrrrr”. The easiest way to keep that heat from escaping is to stuff your gloves somewhere that’s also warm. Where’s your biggest source of heat? Your core. I take my gloves and push them in between my base layer and an outer layer. These layers are responsible for trapping all the heat you’re producing and keeping it from escaping. I usually access these in between layers from my waist. When you’re done with whatever you were doing, you will have the same warm gloves that you took off, instead of a pair of icicles. I often use this same method with headwear. I tend to overheat when climbing. I will remove my hat at the base of a climb, unzip my jacket and shove the hat down in between my jacket and base layer. The colder it gets, the better this method works. And the more important it becomes to be mindful of everything you do to maintain the heat you are producing. Previous Article Mid-week ride, first bitter cold temps. Next Article Good while it lasted, and weekend report.